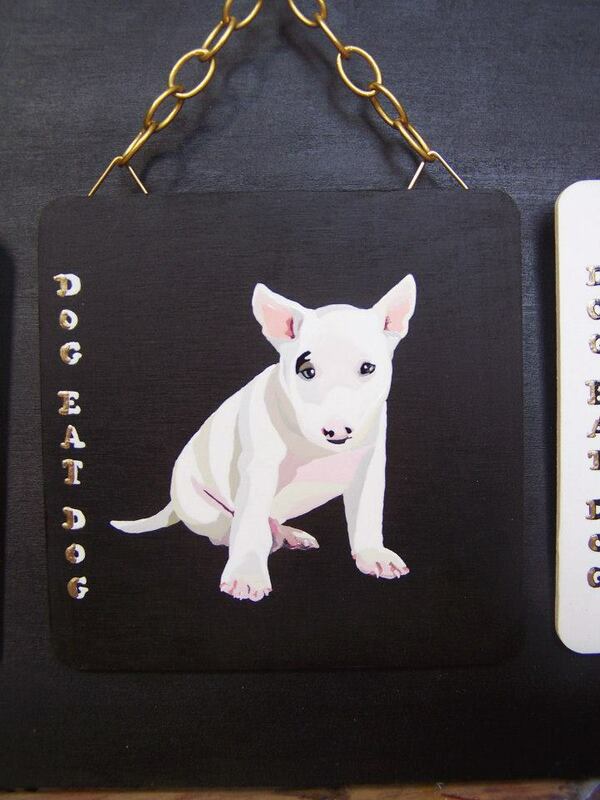 The theme of this year’s 12th Annual Art Car Boot Fair is ‘dogs’. So, I really just couldn’t let this one pass me by. One year ago (almost to the very day of 2014’s Art Car Boot Fair) we picked up Daphne from Heathrow airport, an adult rescue dog from Cyprus. This last year with Daphne has been a huge roller coaster ride of emotions. To cut it short she was (and still is) a very fearful, anxious, nervous dog. We soon learnt that we had to forget everything we thought we knew about dogs (having had dogs previously), as we were to discover that we knew absolutely nothing. While Daphne had to come to terms with an entirely new existence, we also had to learn a new language of fearful dogs. It has been a tough, long year. Rewarding, yes, but also incredibly hard work. So, in response to this year’s theme I have hand painted 8 individual different dogs. 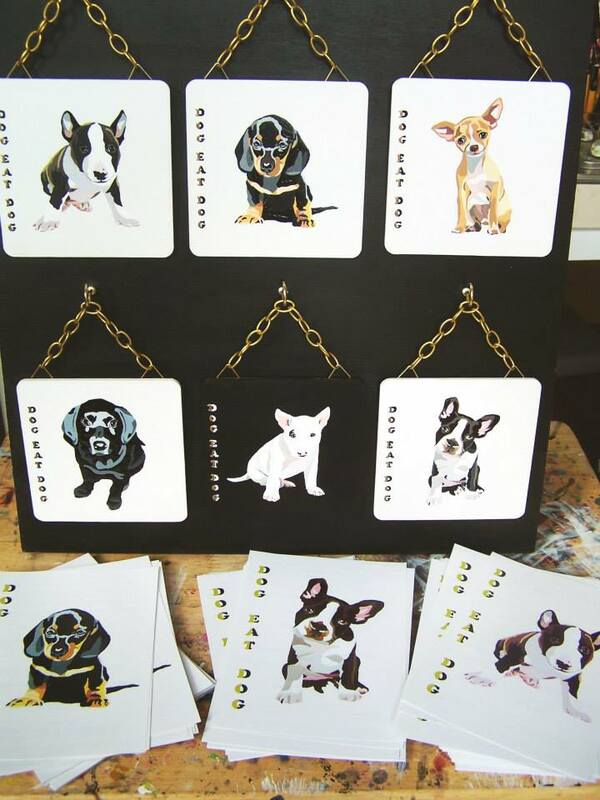 They are all painted in household gloss paint on 10cm square mdf board, ready to hang on gold chain with ‘DOG EAT DOG’ in gold and black lettering on the side. 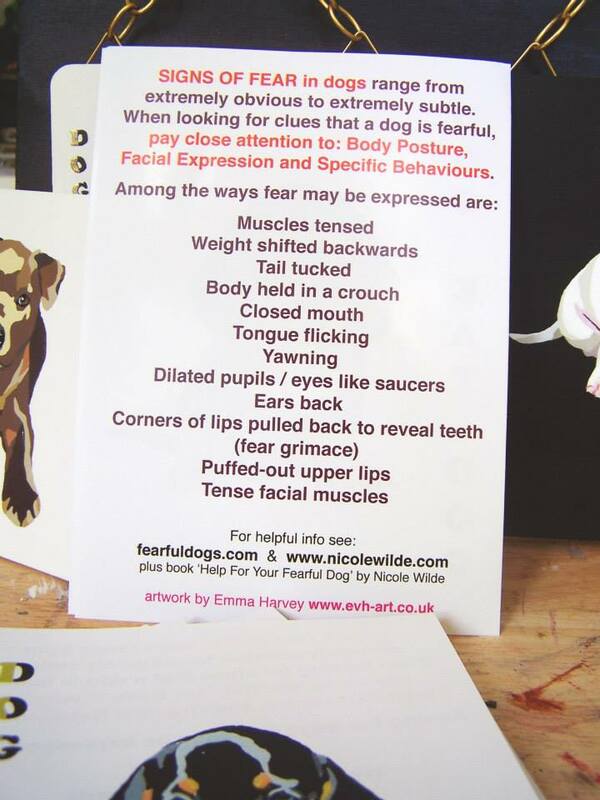 I will also have some free artwork flyers to hand out on the day, with prints of my DOD EAT DOG’s on one side and some valuable information about how to spot the signs of fear in dogs on the other. Grab one while you can! The Art Car Boot Fair all happens on one day – Sunday 14th June, from 12pm to 6pm on the corner of Brick Lane and Buxton Street, E1, London. I will be there as part of the CULTIVATE car boot (also featuring the artwork of Sean Worrall, Julia Maddison and Quiet British Accent).We’re really looking forward to seeing you there, waggy tailed and muddy pawed – woof woof! 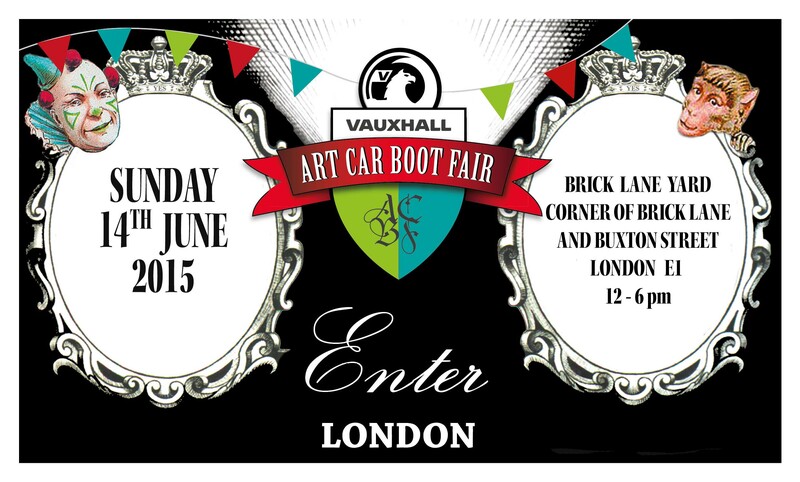 Visit the ART CAR BOOT FAIR for the official info and line up here. Visit ALL DOGS MATTER charity here. Find out more about our journey living with Daphne here. ← ORGAN THING: Metal is the New Black, Quiet British Accent prepare to slay the Art Car Boot Fair….